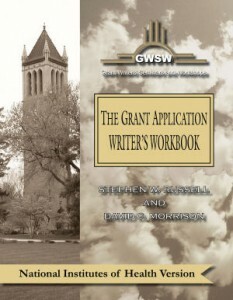 In the past several months, we have discussed a number of relatively common words and phrases used by grant applicants that are, at best, inappropriate, and at worst, potentially misleading and wrong. In this respect, we have earlier discussed using the words “if” and “whether” (4-11-16); the relative meaninglessness of the word “understand” or “to understand” (5-12-16); the inappropriate use of the phrase “To the best of our knowledge” (7-6-16); inappropriate attributes of the word “research” (8-11-16); and how (not) to formulate a research objective (9-23-16). In today’s blog we’ll discuss the often encountered use of qualitative superlatives. These are words that are used to modify nouns (and sometimes verbs) that simply do not belong in grant applications, since these are usually qualitative assessments not readily supportable by hard evidence. As a case in point, applicants will frequently refer to either published or preliminary research findings as providing evidence to support either an hypothesis in a current grant application, or as evidence of feasibility of the proposed approach. In an effort to convince reviewers that the evidence presented is of great value and import, and should thus be considered by the reviewers of the grant application in the evaluation of feasibility, an applicant may argue that the data or results presented are “compelling” or “particularly strong” or “unique”. Thus: “Collectively, our evidence to support the central hypothesis is based upon the results of our compelling pilot data presented below, in which we have shown that….” If one were to query the applicant as to exactly why the evidence would be “compelling”, the answer would most likely be based solely on a qualitative assessment. In other words, what might be perceived as “compelling” evidence to an applicant, may not be all that compelling to a reviewer. (I.e., “Who says the evidence is compelling?”…”I do.”… “But why?”… “Because I said so!”… and so on.) Similar comments apply to particularly strong or unique evidence. Thus, such qualitative assessments must be avoided and simply stated for what they are; namely: “Collectively, our evidence to support the central hypothesis is based upon the results of our compelling preliminary data presented below, in which we have shown that…”. Another relatively commonly used example would include discussions of the qualifications of co-investigators, collaborators or consultants. These individuals are often characterized as being “internationally recognized authorities”, “world leaders”, or “leading investigators”. (I.e., “Who exactly recognizes this person as internationally recognized?”… ”Well, there are Drs. Augustin Ferrara, Marina Schmidt and Carlos Santana, for example.”…. “But what makes them qualified to judge?”…. “ Well, I do.”… and so on.) Similarly, the institution with which an applicant is affiliated is often decorated with characteristics such as “top rated institution” or a laboratory described as being “state-of-the-art”. None of these phrases mean very much and, again, are to be avoided in favor of quantitative assessments. For example: “The proposed research will be carried out at the applicant’s institution, which is currently ranked third in total NSF funding from the Engineering Directorate”. Or: “Our collaborator, Dr. Jane Smith, is currently the recipient of two NIH R01 awards, both of which are directed toward identifying the underlying etiology of Autism Spectrum Disease.” Both of these reflect actual quantitative assessments of the quality of the resource provided to the applicant. While there are additional examples that could readily be cited, it is our expectation that most readers of this blog will get the point regarding the use of qualitative assessments in grant applications. The bottom line here is that everything that is stated in a grant application must, in some sense, actually be “documentable”, such that there would be hard evidence to support an applicant’s statement. If this rule is strictly adhered to, an applicant will be highly unlikely to receive criticism for unsupportable statements of qualifications.